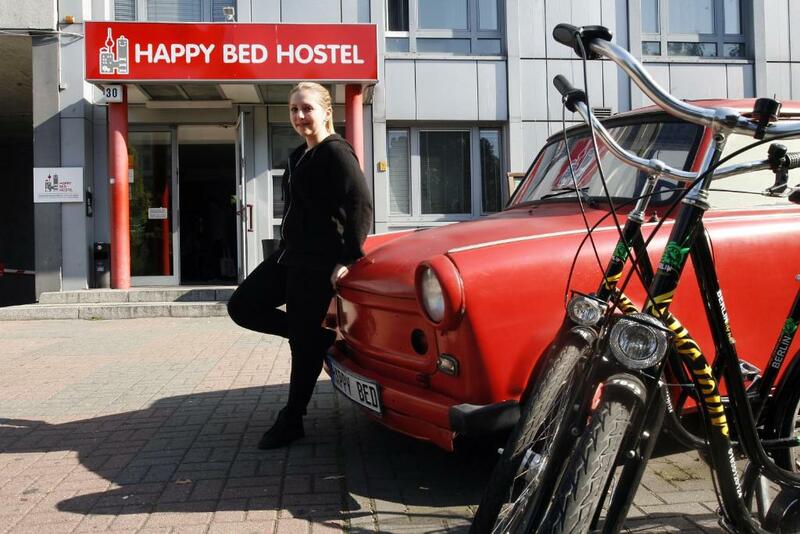 Lock in a great price for Happy Bed Hostel – rated 8 by recent guests! 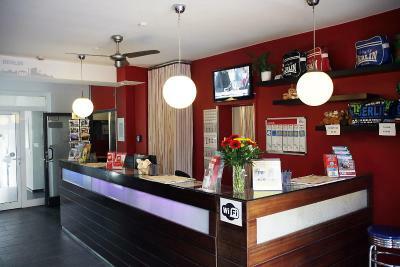 Staff, reception, good location, one U ban station from Checkpoint Charlie, it was mostly very quiet and we slept well, beds were comfortable, there was hot water every time. we enjoyed everything, for just one little night (late arrival and early departure) in was perfect. 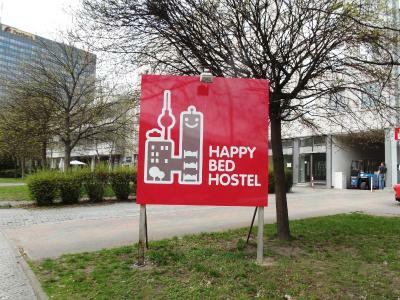 It was great experience to stay in Happy Bed Hostel. 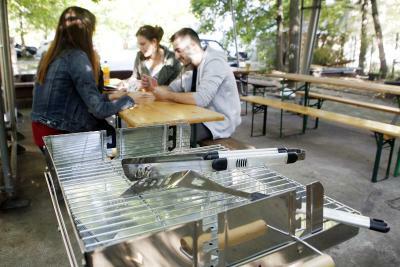 It provides great services including clean area, quiet medium and brunches. Also people from reception desk helped me a lot in figuring out best transportation routs. Super friendly staff, very cooperating and helpful. Great location and great lounge. Free parking and breakfast included (only for people under 27) were the best things. Good location and the room was ok. The guy Medhi from reception was very kind and always helpful. Everyone was willing to help. Location was on point. Facilities really good. 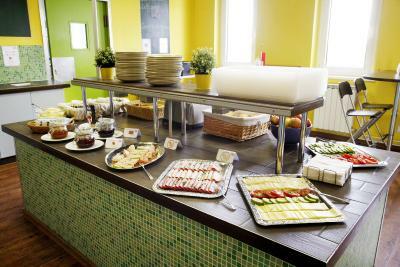 Buffet Breakfast was delicious. Rooms were wide opened and clean. Renting bicycles from the same place was helpful for me. Great experience. 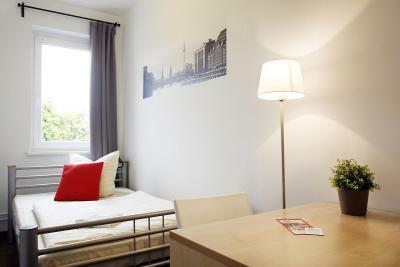 Located directly on the Landwehr Canal in the colorful and trendy Kreuzberg area of the city, this large hostel offers bright rooms, free Wi-Fi and free private parking spaces. 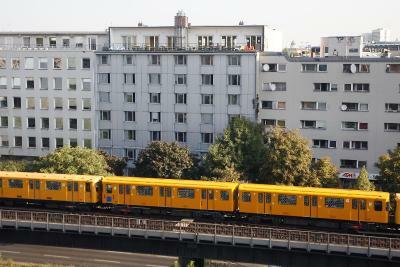 It is 0.9 mi from Potsdamer Platz. 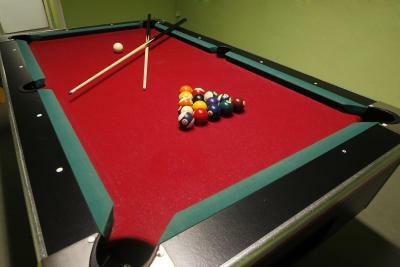 With a 24-hour front desk, Happy Bed Hostel features a games room and bike rental service. 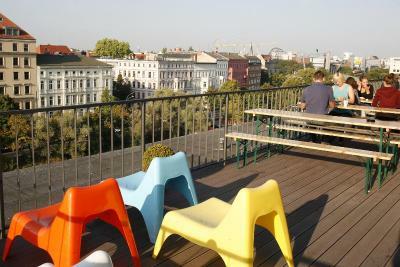 It also has a 7th-floor roof terrace, from which guests can enjoy a view of the city. Breakfast is complimentary for guests under 27. 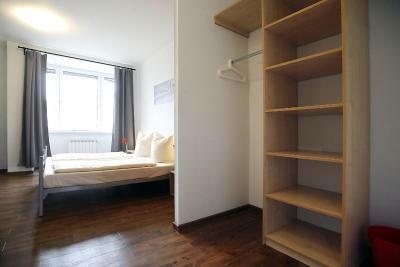 The hostel is based a 5-minute walk from both the Möckernbrücke and Hallesches Tor Underground Stations, which offer connections to the rest of the city. The Kreuzberg district is popular for clubs, cocktails and street artists. 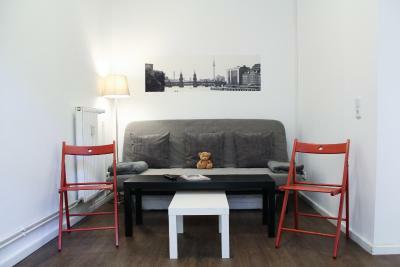 뀐 Located in the top-rated area in Berlin, this property has an excellent location score of 8.3! When would you like to stay at Happy Bed Hostel? 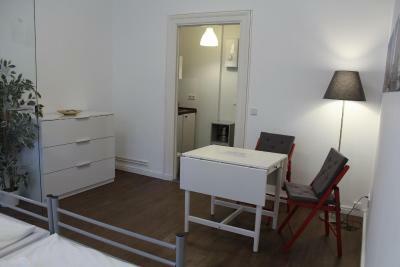 This bright room offers wooden floors and includes a private bathroom with a toilet and shower. Includes towels and linen. 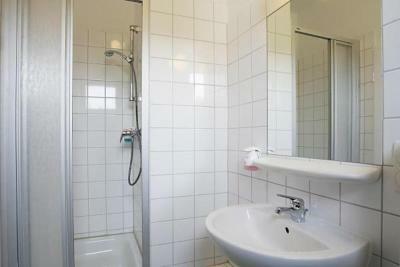 This bright room offers wooden floors and includes a private bathroom with a toilet and shower. 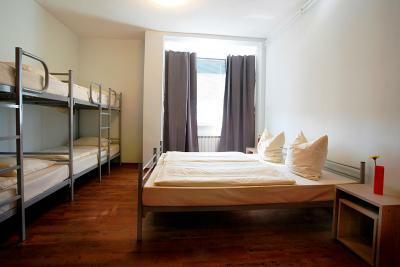 This bed is in a simply furnished room with wooden floors and shared bathroom facilities. 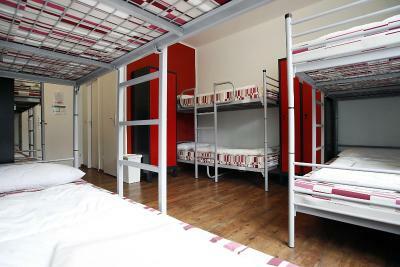 Please note that guests have to be aged 18 years or over to stay in this dormitory. 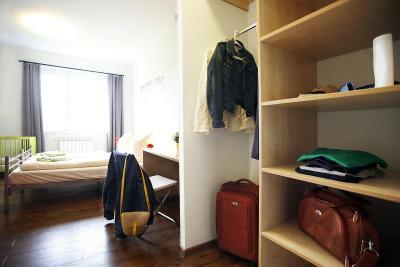 This bright room features wooden floors and offers shared bathroom facilities. 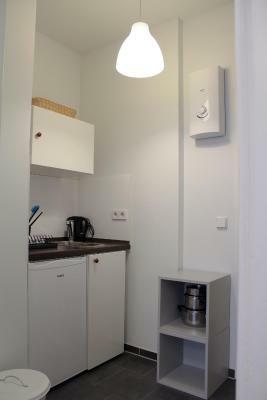 This apartment has a sofa, electric kettle and dining area. 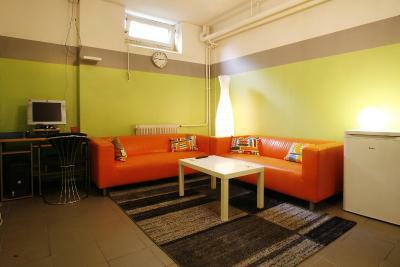 House Rules Happy Bed Hostel takes special requests – add in the next step! 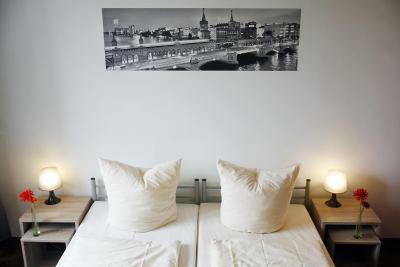 Cash Happy Bed Hostel accepts these cards and reserves the right to temporarily hold an amount prior to arrival. Happy Bed Hostel accepts these cards and reserves the right to temporarily hold an amount prior to arrival. 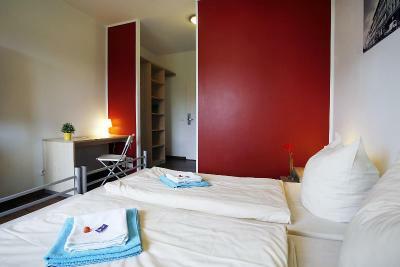 Please note that bed linen is only included in the single and twin room. 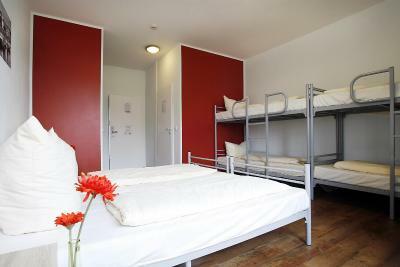 Guests staying in larger rooms and dormitories need to rent these for EUR 2.90 per person per stay. You can rent towels at the property or bring your own. 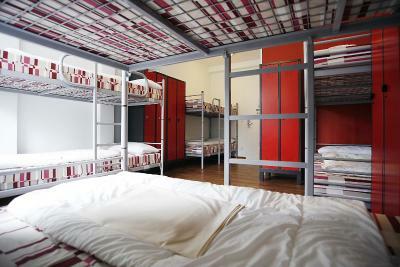 Please note that guests have to be aged 18 years or over to stay in the dormitories. Great service, great location and cool facilities. Would recommend it for sure. The bathroom that you have to wait for someone to finish his stuff. Found old candy under the bed, we had to rent towels and bed linen, was not informed of this on booking.com, so probably would have chosen another place if we knew, not what we was used to from other cheap hotel stays like in London or Groningen. 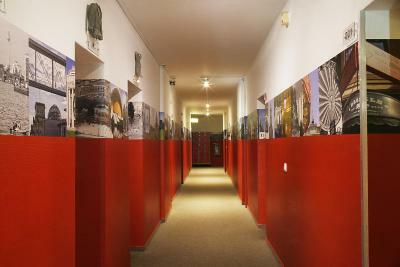 Great service, free WiFi, short distance to brandenburg Tor and check point Charlie. Nice rooms. The stuffs all really nice and helpful. 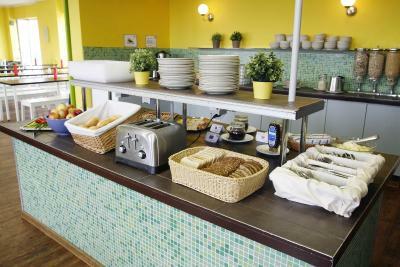 The breakfast is free for whose under 27 years old and variety choice. About 5 min to subway station and not far to supermarket and Jewish Museum(within 12min walk) They have a nice kitchen as well . There was something wrong with shower in my room - it was leaking and after few people having shower, the floor in the bathroom was flooded. There were only two bedside lamps - and after this two person went to sleep, I had to prepare myself to sleep in the darkness/using my phone which was not very easy. Everything was really nice and clean. There was a possibility to borrow a lock - 10 euro deposit. Breakfast was free for all customers under 27 and it was really nice option. I also did not had to pay any extra money for my sheets. Staff was super friendly and was happy to answer all my questions. 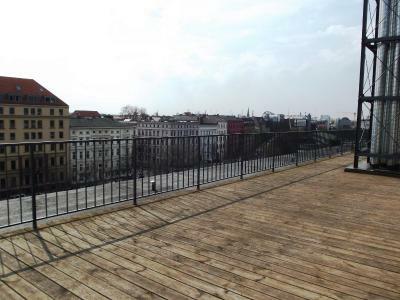 The location in also nice - about 15 minutes walk to Checkpoint Charlie. They didn't clean after the previous guests, there was a pair of underwear left in the locker, and there was an empty beer bottle on top of the locker in plain sight... At the reception there was a girl complaining that her pillow was really dirry and smelly. There are no facilities in the rooms, except the bed and some extension cables tied to every bed. And the furniture looks like it's 20 years old. Really dissapointing. 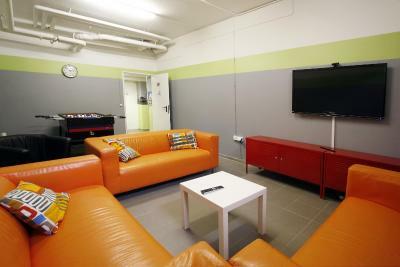 The only upsides were the staff, they were friendly (but they looked also a bit ashamed actually) and the top floor common room that was nice. Really nice and smily staff. Hair dryers not powerful enough. Awesome breakfast, friendly people. Magnificent terrace. Flexible check in.